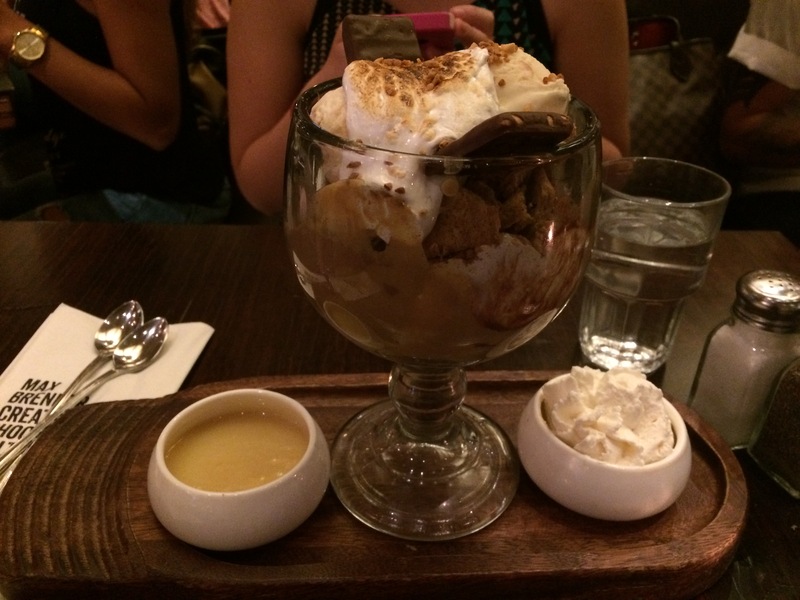 Hi everyone, I left you last time as I was uncertain about my holiday plans… Well, they were good ones. I’ll recap below. The show ended and you know what that means? (Or you follow me on social, which would have spoiled this post for you.) 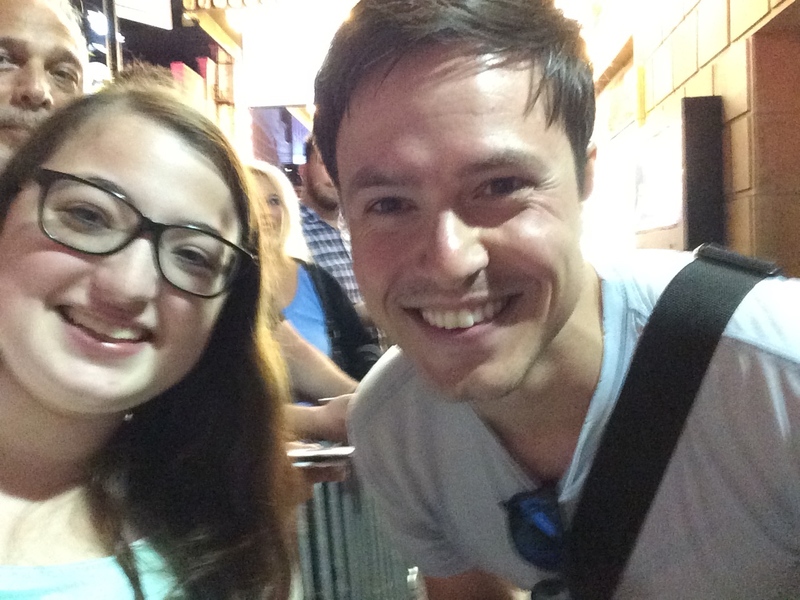 STAGEDOOR! Want to see my photos? Lisa Howard who was amazing as the bride’s older sister. 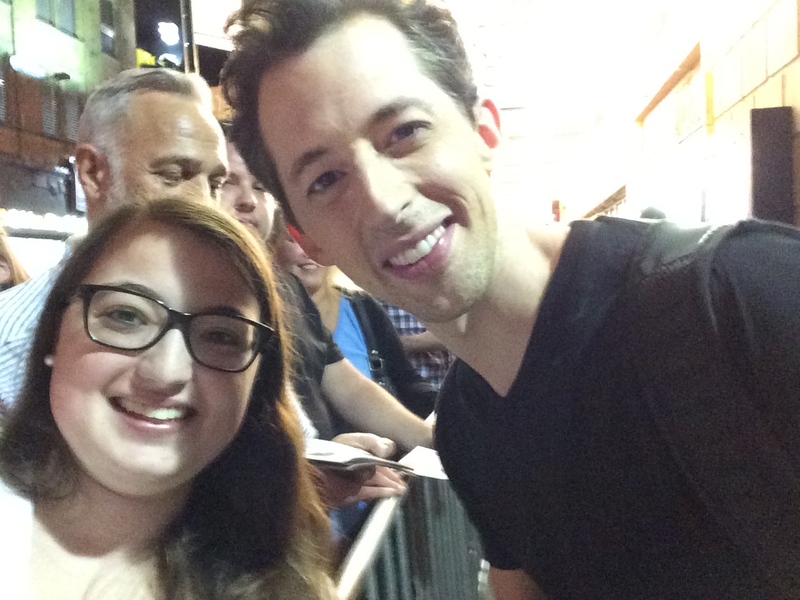 Josh Grisetti who played the bride’s ex Marty. That was fun! Note, the twist in the show was very unexpected! My jaw nearly dropped to the floor! 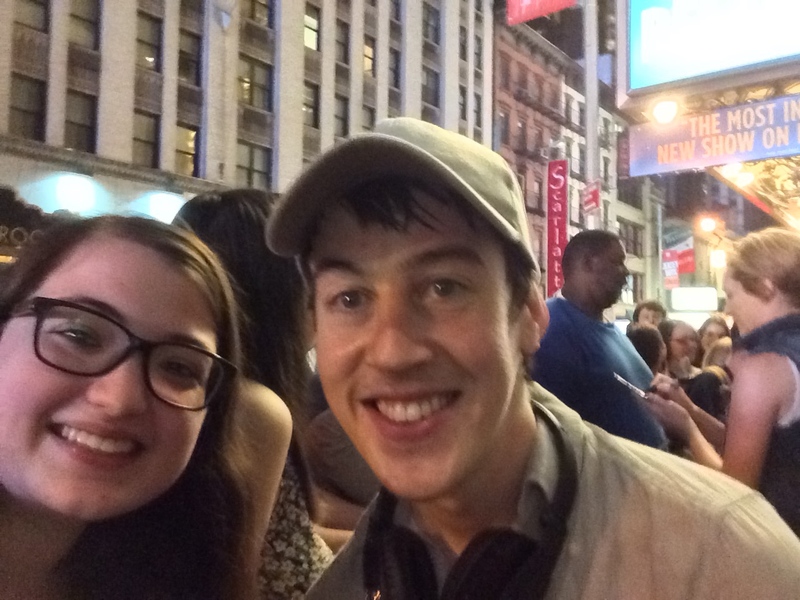 While at stagedoor, I made a new friend (us theater nerds are pretty friendly while waiting at stagedoors…) who I then walked with to two other stagedoors. 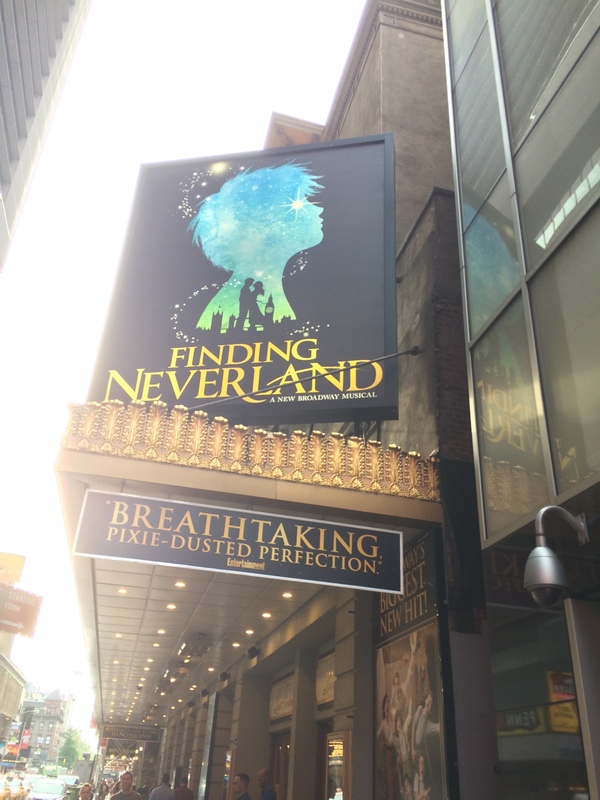 Off to the next stagedoor: Finding Neverland (sans a playbill). But, oh look, pictures! 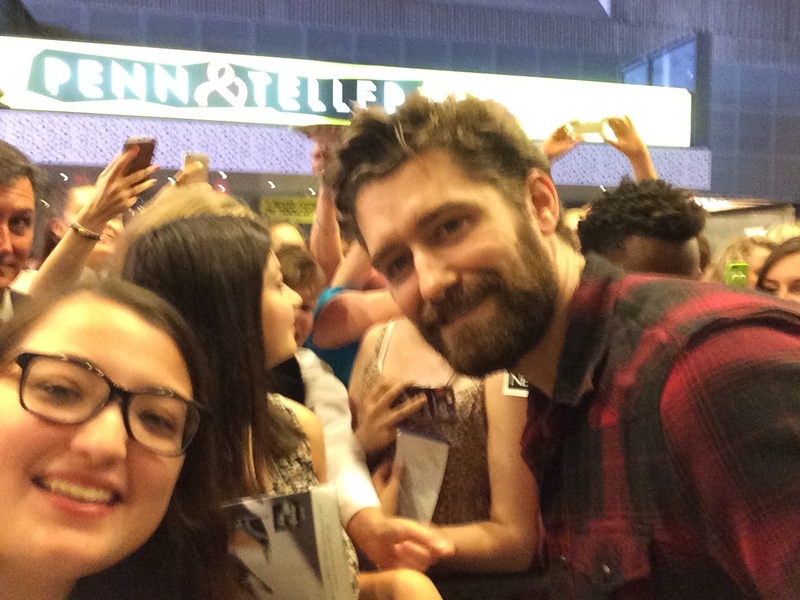 IT’S MR. SHUE FROM GLEE, MATTHEW MORRISON! I got home via Uber at midnight and promptly set my alarm for 5:45 a.m. (No work Friday either…) So, Friday I arrived at the theater by a little before 7 and that made me the first in line for rush tickets! Yay!!! 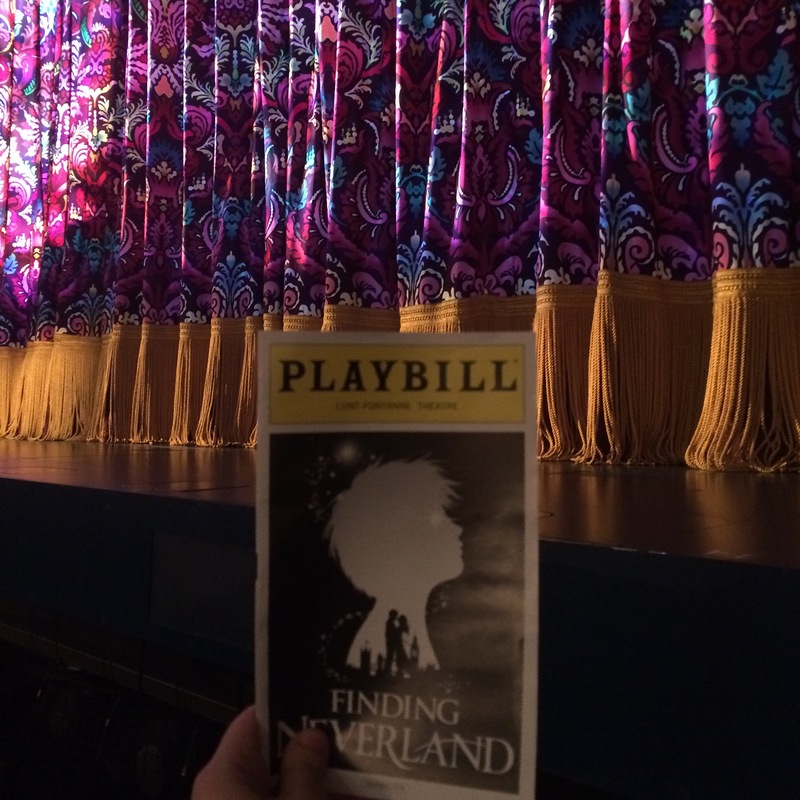 So, the box office opened at 10 and I promptly received my front row ticket to “Finding Neverland” for that evening! The show was so incredible! And to see it from right in the front was crazy! I loved it! Can’t wait to get the cast album in a few weeks! I even was a part of the number “Stronger!” So, during that song, there are ropes suspended from the ceiling at the front of the stage and one of the ensemble members (dressed as a pirate) kind of tapped me on the shoulder (pirate-like) like I was in the show with him! Crazy! My view. Right down in front. 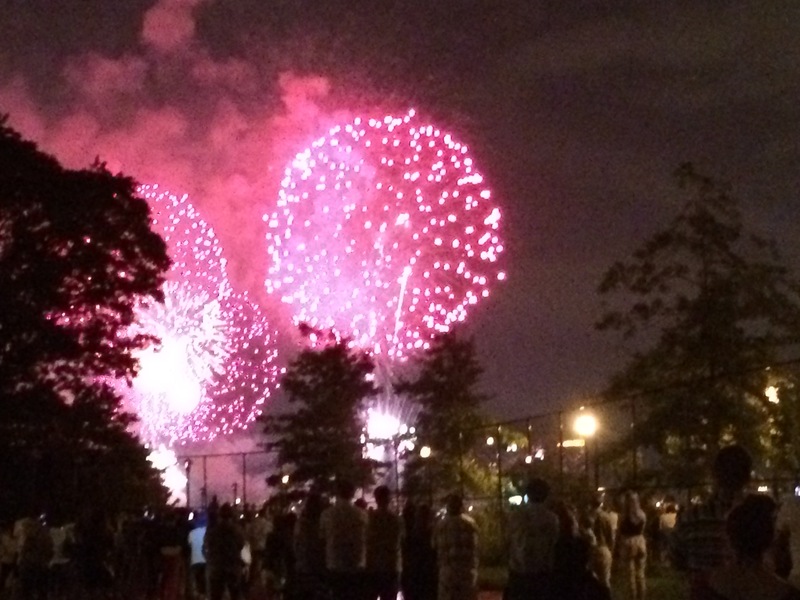 Saturday was the 4th of July! 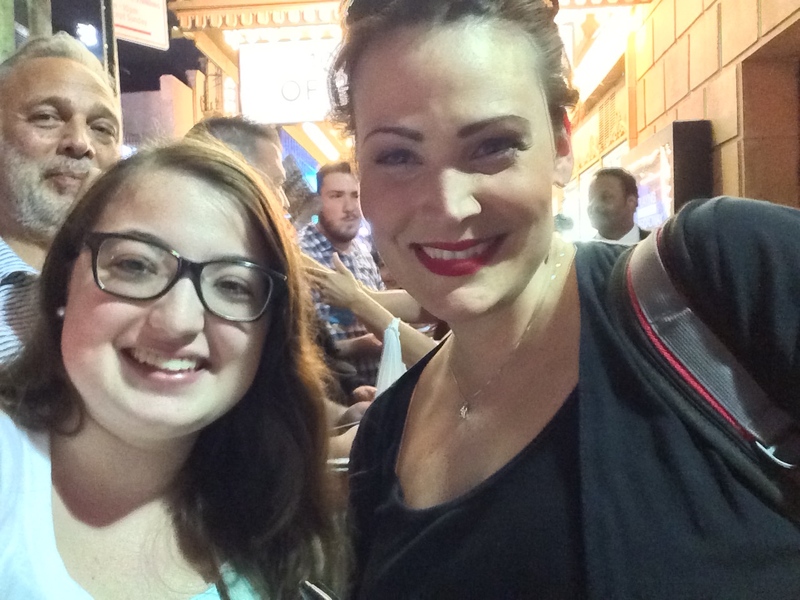 And I decided to celebrate by visiting the stagedoor of Something Rotten at its matinee performance. 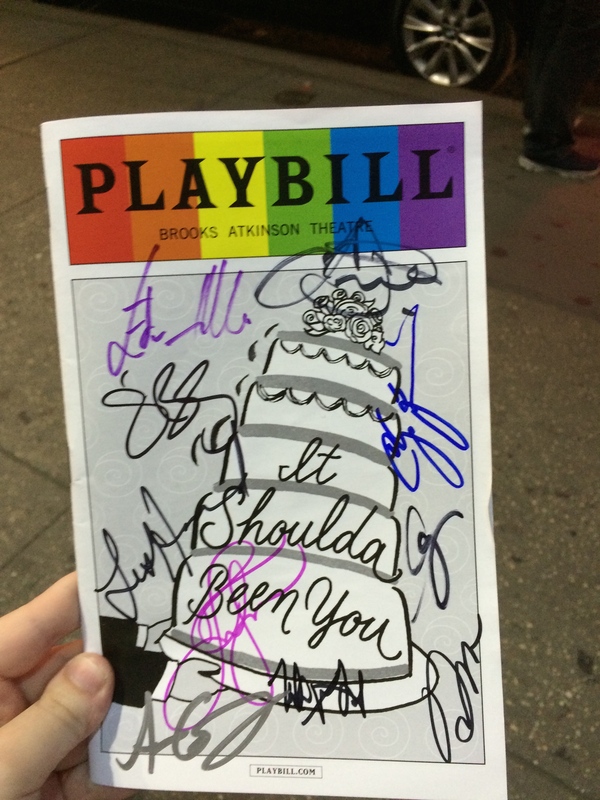 I got my playbill signed (first autograph/ photo with all the actors!) 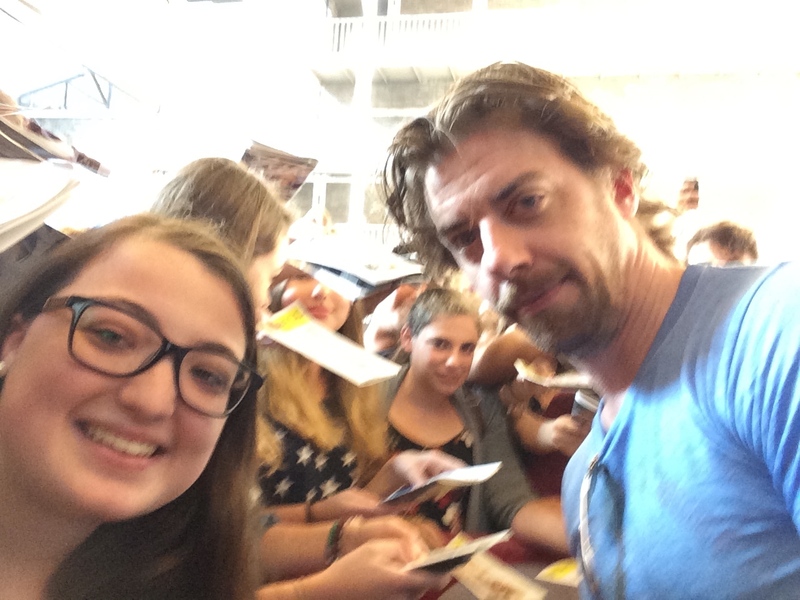 and even had a short conversation with CHRISTIAN BORLE about how I loved him in Legally Blonde and still listen to the soundtrack all the time, to this day! ‘cuz baby you’re a firework! Sunday morning, my friend and I decided to go put our names in for the Aladdin lottery… we didn’t get it, but still wanted to see a matinee. So, where else did we end up?The Belasco Theater to see Darren Criss in Hedwig! Well, I’m exhausted: better go rest up for a full day of class tomorrow. Thank goodness for “Theater Nerds” but I am also jealous. I’m working on Broadway so I rarely get to see shows. UNLESS I TAKE VACATION. Hi there! I'm Miranda, writer and blogger behind Quite Simply Miranda, sharing my passion and thoughts for all things lifestyle news and trends.